Description: The Hole in Your Heart features the woven elements typical of all Celtic knots. It's designed in such a way that it has an obvious hole in the center. 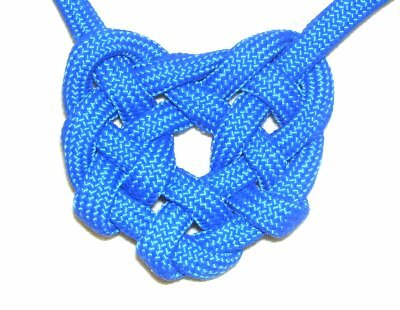 You could use this decorative knot as a pendant, since the ends come out at the top. 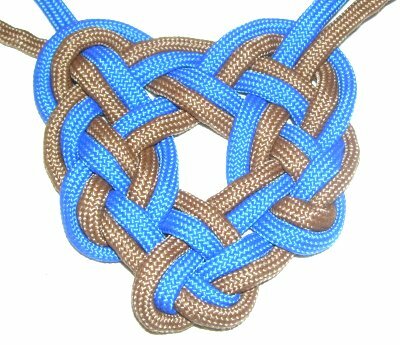 Adding a second cord to double the knot will produce a larger design, suitable for other Macrame projects. The decoration shown was made with Paracord, which needs to be prepared and finished by melting the tips with heat. 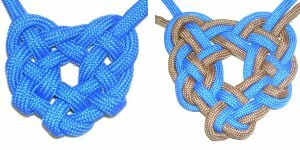 The video gallery contains tutorials for a large variety of combination knots and techniques. Preparation: Cut one cord, at least 60 inches long, to practice this design. When using the Hole In Your Heart as a pendant, add the amount of material you need for the necklace, so you can make it all as one piece. 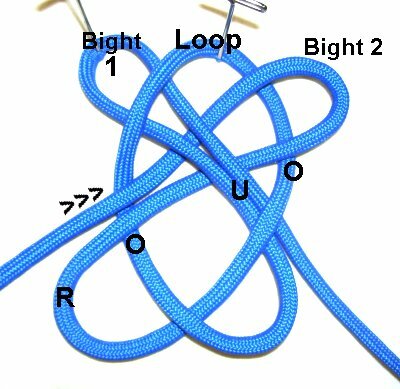 Step 1: Make a loop in the center of the cord, crossing left over right. Step 2: Fold the left end, which is now on the right, to make bight 1. 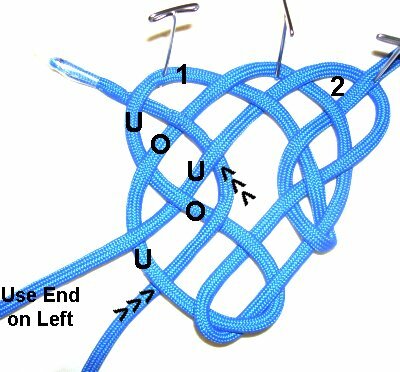 Place it under the loop, so the fold is resting on the upper left (diagonal). Step 3: Make bight 2 with the right end (now on the left). 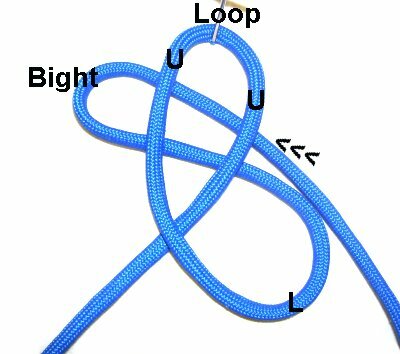 Weave it over - under - over the three areas of the loop, moving towards the upper right. 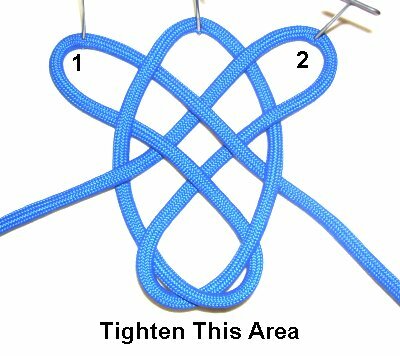 Step 4: Tighten the lower area of the Hole in Your Heart knot, by pulling on the two bights. Widen and balance the knot, so you can see all areas clearly, especially the bights. Step 5: Rotate the end resting on the right, so it's heading towards the upper left (bight 1). Pass it over - under the two segments to the right of the lower area you tightened in the last step. Step 6: Bend the cord towards the upper right, where bight 2 is located. Weave it over - under - over the three segments. Step 7: Move the end on the left under - over the two segments to the left of the tightened area at the bottom (towards bight 2). 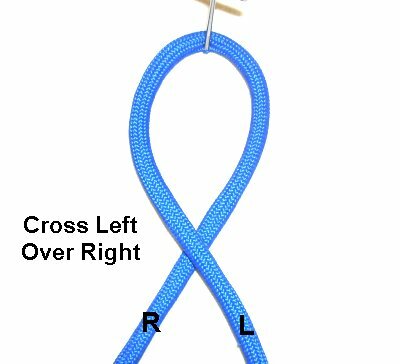 Bend the end to the upper left and weave it towards the top of bight 1, under - over - under. 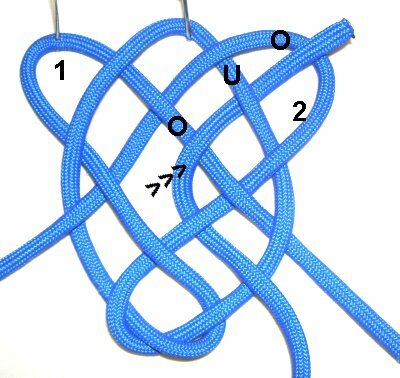 Step 8: (Optional) To double the knot, balance the design but don't tighten it yet. 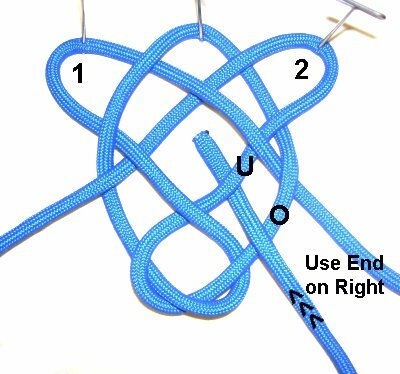 Use a second cord to follow the path of the first one all the way through. Tighten each area until it's the shape you like. For a single Hole in Your Heart, tighten it most of the way, leaving a hole in the center. Have any comments about the Hole in Your Heart? Contact Me.